Early childhood education covers the period from birth to the age of five years. Expanding early childhood care and education is one of the six ‘Education for All’ goals. The aim is to ensure that families who have children under five years of age with developmental delays are supported with resources that assist them in maximizing their child’s development while respecting the diversity of families and communities. Early childhood care and education include a broad range of activities and provisions, like observation, treatment and day care. 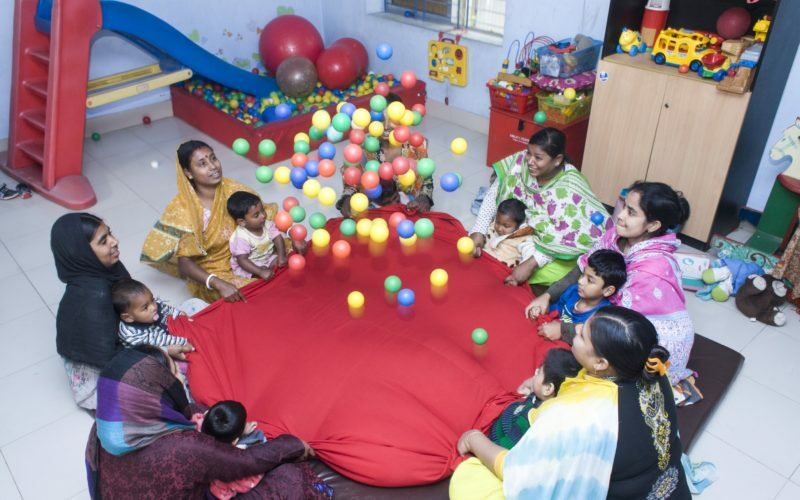 The day care centres are working with a curriculum in which different developmental domains are distinguished. Although there are slightly different types or methods, most of them focus on the basic developmental domains. Developmental domains include social, emotional, cognitive, and physical growth. We stimulate the children to develop their skills within their possibilities by using challenging toys. 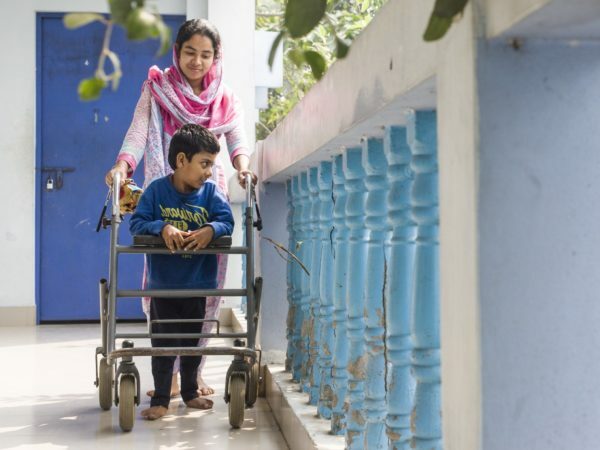 To help parents of complex disabled children in bonding and making contact and with their child, we teach them the Shantala massage technique. It stimulates the physical and emotional development of the child and helps to relax the complex disabled child. With the individual treatment plan we are able to follow the children closely and to anticipate during their development. In 2017, 31 children learned to roll over, 38 children were taught to sit independently, 21 children learned to walk, 16 children improved their communicative skills and 23 children learned to eat independently. Result: The children become curious little discoverers. The parents feel more confident, are better able to solve problems and can better supervise their child at home. 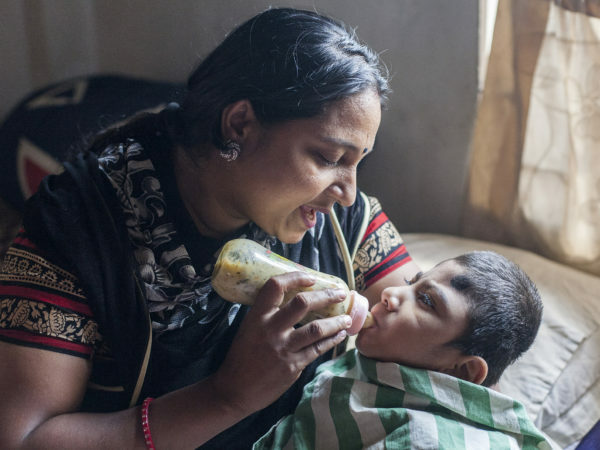 Support the Early Intervention project in Bangladesh with a donation of help us in another way.